1985. A gallon of gas was $1.09 and a movie ticket was $2.75. Oh yeah, gold was only $327 an ounce. 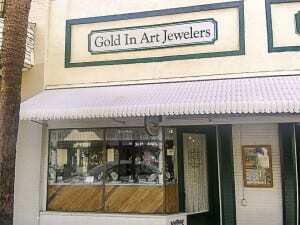 That’s when my uncle and I opened in downtown Mount Dora. Our roots go back to my grandfather, Willie, who mastered the trade in the 1940’s on Canal Street in New York City. He passed down this fine craft through the generations, along with the standards and integrity of yesteryear. The driving force at Gold In Art Jewelers is customer satisfaction, quality, and honesty. Check us out. You’ll see what I mean.